I’m frequently pitched investment opportunities, ranging from real estate to oil leases to restaurants. I’ve always invested out of my bank account but have been curious if I could invest through my tax-deferred requirement accounts. The short answer is yes. These investments are possible, but probably not through the broker that holds your IRA. I reached out to Kirk Chisholm, Principal of wealth management firm Innovative Advisory Group to learn more. I posed this scenario: I want to invest in a real estate deal for a new apartment complex in town. 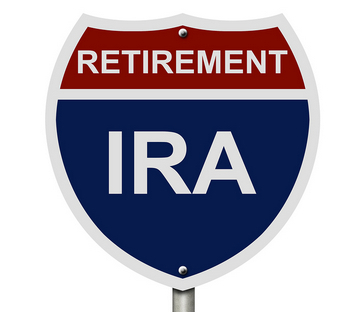 I want to invest through my IRA funds that are currently in an account with a major broker. UpMoney: Will I have to move my funds to a new custodian? Chisholm: The short answer is, probably. Although all qualified custodians are allowed to hold virtually any asset in their custody for IRAs, most of them do not. It is the custodian’s choice on what assets they allow their clients to hold at their firm. Most custodians have chosen to specialize in certain asset types, either traditional or alternative investments. For example, if you ask the broker dealer that you buy and sell stocks through, to hold an apartment complex, they will probably look at you funny. Then they’ll say you can’t do that. What they really mean is that they won’t do that. This Tesla P85 originally cost over $100,000. It’s available used for $59,000. Take a test drive of a Tesla and you’ll think it wise to short the oil companies. It’s an incredible driving experience that doesn’t require a drop of gas. The downside is that the car of the future is expensive. It’s easy to top $100,000 for a Tesla after adding features. The good news is that used Teslas are starting to come on the market, often at discounts of 30% or more off the original price. This is a first-hand guide to buying a used Tesla. Do you really need a used one? Before we drive into a tutorial on used Teslas, ask yourself this: Can you afford a new one instead? Believe it or not, you can get a brand new Tesla for just $62,500 after the $7,500 government rebate. That’s for the basic 70 kWh battery with no options. Even without options, this might be a better choice for some people than buying an older, used Tesla. The new cars come with upgraded hardware and small fixes that are superior to Teslas that are even a year or two old. If you’ve ever worked in a startup or overheard a conversation at a Silicon Valley coffee shop, you are probably familiar with the term burn rate. Burn rate refers to how much money a startup is “burning” through each month. The burn rate lets you calculate how much time the startup has before it must turn a profit or raise more money. For example, if a startup has $1 million in the bank and a $100,000 monthly burn rate, it has ten months to survive. It needs to make something happen before ten months is up or it will run out of money. People have a burn rate, too. Hopefully you make more than you spend. In the startup analogy, you’re profitable. You have more cash coming in than going out, so you aren’t heading to zero in your bank account. But what if something happened? What if you lost your job? Your business failed? You get sick? Or what if you just want the flexibility to take time off and not let money dictate your career decisions? Or you want to start a company and won’t get paid for a while? If your income suddenly dropped, how much time would you have before you ran out of money? That’s the idea behind a Personal Burn Rate. It might be easy to figure out your personal burn rate, especially if you track your spending in Quicken or Mint. But there are two mistakes a lot of people make when calculating their number. 1. Only looking at the last month or two of expenses as a baseline. There are a number of expenses that are incurred just once or twice a year, such as vacations, furniture and insurance. You also probably spend more money around holidays such as Christmas. You should look at your past twelve months’ of spending and average it to get your monthly number. This will help you capture your seasonal and uncommon expenses. Once you get this twelve month number, just divide by twelve to get your Personal Burn Rate. You shouldn’t ignore these because there’s always something. Maybe it’s not a transmission this year, but it’s a car accident. Maybe you don’t go on an expensive vacation but have to do a house repair. Perhaps you have an unexpected medical expense. Hopefully, looking at a year of expenses softens the impact of some of these “one time” expenses. The point is that there are always one-off expenses, even if in a different category of spending. You should include them in your overall spending calculations. Although calculating your Personal Burn Rate is the goal, it’s handy to separate your average monthly expenses into categories. 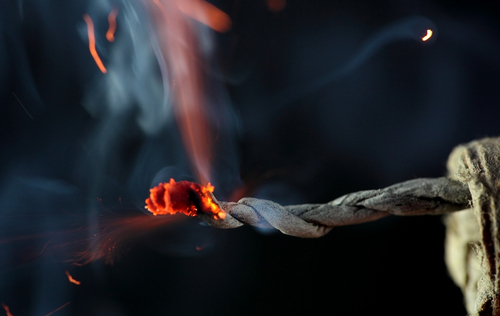 This is important as you look at ways to trim your burn rate. I’ll discuss categories in a future post. Please read this important update about my actual results with LendingClub. It’s hard to get decent returns on cash these days. Banks are paying you virtually no interest on your savings, and then turning around and lending it to others at a substantial markup. What if you could remove the bank from the equation and lend money directly to people looking to borrow? That’s the idea behind peer-to-peer lending, which is now often called marketplace lending. I became fascinated with this business model nearly a decade ago when Prosper.com launched. The service was kind of like an eBay for loans. People would post their story and why they wanted to borrow money, and lenders could fund their loans. The past several years have been dismal for savers. Many banks are paying just $1 of interest per year per $1,000 deposited. ELoan – 1.30% with a $5,000 minimum deposit. CIT Bank – 1.30% with a minimum $1,000 deposit. 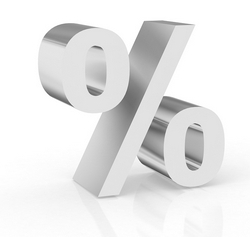 The bank also has a high yield savings account paying 1.05%. Synchrony Bank – 1.25% APY with a balance of $2,000 or more. The bank also offers a high yield savings account paying 1.05%. Sallie Mae – 1.25% with a $2,500 minimum. This is the student loan group. BankDirect – 1.21% on a $10,000 minimum deposit. BankDirect is a division of Texas Capital Bank. Discover – 1.15%. They don’t just offer credit cards! Ally Bank – 1.05% APY. If you think rates are going to go up sooner or you might need to pull your cash, Ally also has a No Penalty 11 month CD with a 0.87% APY. Nationwide – 1.05%. Bumps to 1.10% with $100,000 or more. FirstIB – 1.0% with a $1,000 minimum. GE Capital Bank – 1.0%. Now that I’ve done the homework for you, does it make sense to lock your money up for a year at these rates? I think it depends on the delta between the CD rate and your savings rate. At such low rates, you literally need to consider your time when it comes to opening a CD. Is it worth spending an hour opening an account, and a bit of extra time to handle the taxes, that will earn you an extra $200 a year before tax?